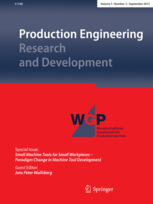 Production Engineering – Research and Development presents the latest research results from production technology and industrial organization. WGP professors select the articles concerning their scientific and practical relevance for the production of tomorrow. In doing so, they make an important contribution to the transfer of knowledge and technology in production technology and operational management. Central topics range from production processes to digitalized and interconnected process chains and up to modern factory management. There are already several statements concerning Industry 4.0 – so why yet another one? Previous statements especially demonstrate the opinion of informatics, IT and business consulting. 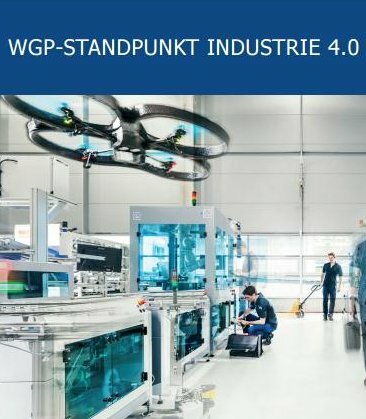 With its Position Paper Industry 4.0, the WGP is expanding the discussion about digitalized and interconnected production by adding the perspective of production technology. Thus, the WGP professors point out that, as it is often claimed, all the necessary technologies already exist and simply have to be combined correspondingly and that the actual revolutionary aspect is not the digitalization but rather the interconnectedness of technical systems in real time. At this, the handling of huge amounts of data is decisive for entrepreneurial success. The position paper is a roadmap for this issue. It is, thus, a longer-term guideline for politics, science and companies to make Industry 4.0 possible in production. The WGP sees itself as the voice of production science. Its determined aim is to point out the significance of production and production science for society and for Germany as location. On this matter, it takes a stand concerning future topics relevant for society. 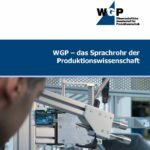 Its tasks and goals and especially the question WHO, is behind the Wissenschaftliche Gesellschaft für Produktionstechnik can be looked up in the brochure ”WGP – the voice of production science“.